All it often takes to help a family work their way out of poverty is a little help to set up or improve a business. However many of the poorest people in Burkina Faso have no access to banks or credit and that is where our micro credit scheme comes in. The scheme offers small loans to help families develop new income generating ideas, which are then repaid over time. 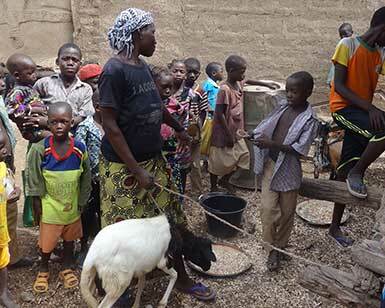 Whether is seeds for a new crop, chicks to start a breeding programme or tools to start a carpentry or sewing business, micro credit allows people in Burkina Faso to improve their own long term future.